GMA Network sets another record in Philippine broadcast history, this time bringing home eight medals and four finalist certificates at the 2018 New York Festivals “World’s Best TV and Films” Competition — including a gold medal for GMA News TV’s Reel Time. The awarding ceremony was held in Las Vegas, U.S.A. last April 10. Documentary program Reel Time won the gold medal in the Health/Medical Information category for its “Hawla (The Untold Story of the Village Monster)” episode. Hawla featured the story of Nene, a woman kept in a cage because of her psychological condition. Another Reel Time documentary, meanwhile, earned the country one of its two silver medals this year. The episode “Gutom (Starved)” about two-year-old Roel—who, because of extreme malnourishment, could not walk, much less crawl at his age, won in the Human Concerns category. Both winning Reel Time documentaries were executive produced by Mark Anthony Norella. Another Reel Time documentary, meanwhile, earned the country one of its two silver medals this year. The episode “Gutom (Starved)” about two-year-old Roel — who, because of extreme malnourishment, could not walk, much less crawl at his age, won in the Human Concerns category. Both winning Reel Time documentaries were executive produced by Mark Anthony Norella. “Alaala: A Martial Law Special” also won a silver award. The special, which was recognized in the Docudrama category, featured the journey of Martial Law activist and award-winning screenwriter Bonifacio Ilagan. Aired in commemoration of the 45th anniversary of President Marcos’ declaration of Martial Law, the special was bannered by Kapuso actor Alden Richards who played the role of Boni. 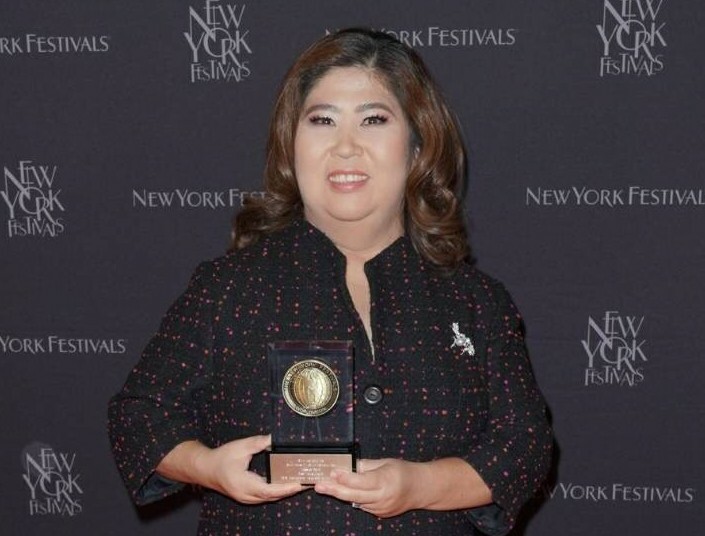 Marking another first for the country was GMA News Pillar Jessica Soho winning the bronze medal in the Best News Anchor category. Soho was the first and only Filipino broadcast journalist to date who made it to the list. GMA Public Affairs earned three more bronze medals for the country. Documentary program Front Row won a bronze medal in the Best Public Affairs Program category. Its winning episode “Batang Bomba (Bomb Pickers)” told the story of Aeta children who pick up detonated bombs to earn money. Meanwhile, investigative program Reporter’s Notebook received a bronze medal in the Community Portraits category for Maki Pulido’s “Yapak sa Pusod ng Dagat (Footsteps on the Bed)”. It featured the story of Filipinos who risk their lives diving into the ocean without proper equipment in the hope of mining gold that they could sell. GMA News TV program Brigada also took home a bronze medal in the Current Affairs category for its report on “Combat Camera Team”. The episode detailed the operation of Philippine Army’s Scout Ranger Batallion in Marawi City using combat cameras. The Network’s Program Support Department also won a bronze medal for “EDSA 31st Anniversary Spot”. The said project won in the Graphic Design: Promotion/Open and IDs category. Along with these, GMA Network also took home four finalist certificates. The country’s longest-running documentary program, I-Witness, received two Finalist Certificates: one in the Human Concerns category for Kara David’s “Sundalong Aso (Soldiers with Paws)” and another in the International Affairs category for Atom Araullo’s “Silang Kinalimutan (The Forgotten)”. GMA News TV’s flagship newscast State of the Nation with Jessica Soho also earned a finalist certificate for Best Newscast through its “Marawi Liberation: War is Over” coverage.